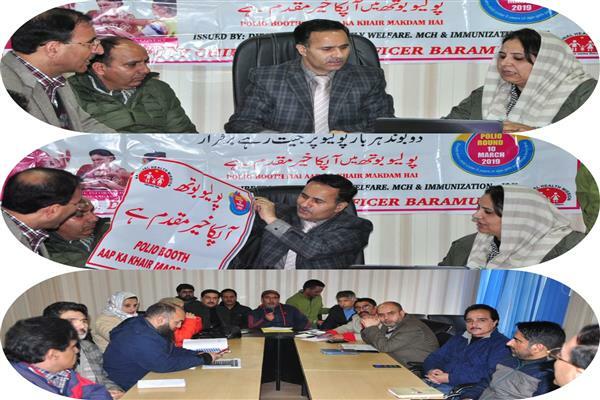 Baramulla, Mar 07 : Deputy Commissioner Baramulla, Dr G N Itoo today convened a meeting of District Taskforce Committee to review the action plan for Intensified Pulse Polio Immunization (IPPI) 2018-19 to be held on March 10. 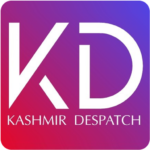 Addl SSP Baramulla, Ch Mohammad Yousuf, Chief Medical officer Dr Bashir Ahmad Chalkoo, Deputy CMO, Dr Jozy Bashir, District Immunization officer Dr Shabir Ahmad Pathan, BMOs, officers from ICDS, Education, health and other concerned departments attended the meeting. During the meeting, a threadbare discussion was held with regard to the arrangements being put in place during which the DC emphasized to mobilising required manpower for the smooth immunization campaign. The meeting was informed that 1,60,185 children in the age group of 0-5 years are being immunized in Baramulla district and for this purpose 833 immunization booths have been established here besides 12 transit points also identified. As many as 3380 employees from health department, ASHA workers, ICDS and other volunteers will perform their duty, the meeting added. In all, 10 Mobile teams have been constituted where as 169 Supervisors engaged to supervise the whole process. Speaking on the occasion, the DDC issued several directions and asked the officers to work in close Coordination for the success of the campaign. He said that timely availability of vaccine should be ensured particularly in remote and high risk areas of the district. The DDC also appealed the parents to bring their children to nearest immunization centre to make the program a success. DC also emphasized the importance of ensuring a mass media campaign about the program in order to create widespread awareness among the general public.